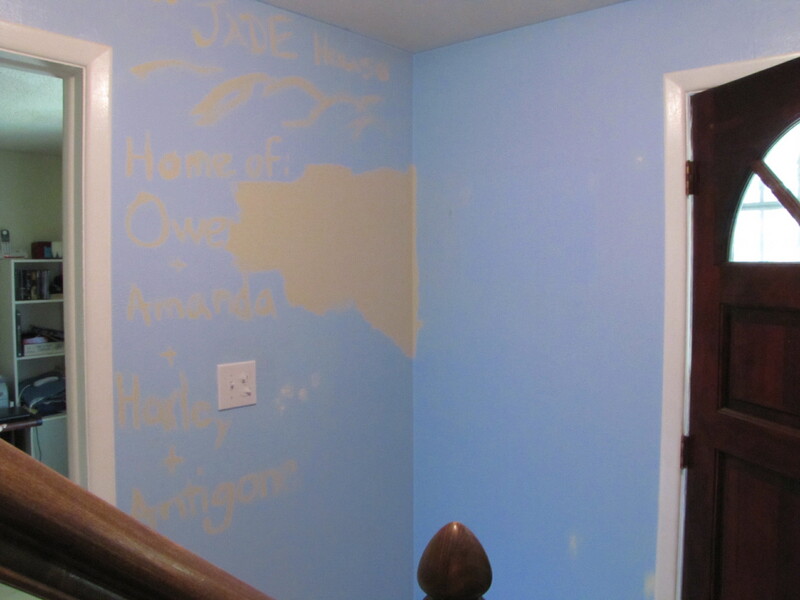 Posted on July 27, 2012 by Amanda C.
When we bought the house, people kept reminding us that even though it needed a lot of work, that was okay. We could fix it up and then move again in another couple of years to something newer/nicer/better. I bristled at that. It took extreme force of will to respond politely and not jump down a well-meaning commenter’s throat. But it stuck in my craw for days at a time. It bugged me that people would assume that we intended to just inhabit a place, make it our own and then drop it. The truth is though, we are ready to have roots. This is our Home now. We moved because we were tired of renting. Tired of not being able to really put our mark on a place. Tired of just being temporarily in one place or another. Now, after almost four years of living in Colorado, I feel like I can allow myself to be a part of this state. I can build community and look critically at the school system as a potential generator for little people to attend said schools. It’s an alarming process this growing up business. You play house as a kid or you build a pillow fort with friends. Either way, we play at claiming a place as our own. Maybe it’s just a part of our domestication as a species but saying, this is where you can find me is just another way of identifying who we are. This is who we are as a family. We are homeowners. We live here. Here in this case is our clutter everywhere chaos kind of house. And it is good. Posted in Jade House, life ehgo and tagged being adult, good things, growing up. Bookmark the permalink. Posted on July 6, 2012 by Amanda C.
We’ve almost lived in the house for a year and I’m still afraid. I’ve accepted all of the creaks and noises that come with a 40+ year-old home. When I get ready for work at o’dark thirty I can almost move silently down the stairs. Our basement is no longer this gaping space of unfinished creepy. 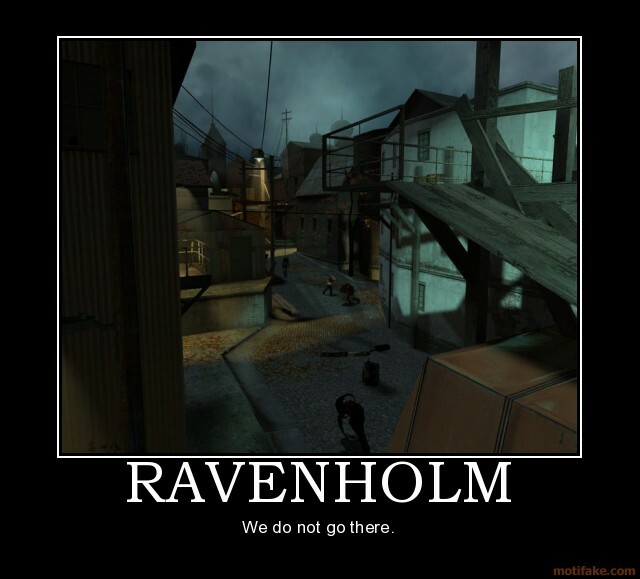 I can cross Ravenholm now without scurrying quickly out of fear that there’s something lurking down there. Since it has been so hot recently, we’ve even eaten down there a couple of times. In general the house doesn’t smell all that bad anymore. The coat closet still has this funk smell if you get down close to the linoleum. And every once in a while I can still detect the long gone aroma of cigarette smoke. Now what I’m afraid of is judgement. I’m afraid that folks will look at what we’ve done and the state of chaos we live in and still wonder why we live in such a state of disarray. I worry about judgement. I fret whenever someone comes into the house because now the excuse that we just moved in is no longer valid. In all likelihood we will not have a one-year house-warming party. We’re just not ready yet. I worry about guests tripping over our clutter. Owen’s family is coming in August. My sister is probably going to visit at the end of this month. Both of our families know us and know how we lived before we became a family on our own. That doesn’t change my mounting sense of fear that our progress will be deemed unworthy. We’ve settled in though. We (mostly) have a routine. I can find things in the kitchen even if I can’t figure out where something is that I could locate easily at the apartment. I’m happy here. It’s really exciting to come home at the end of the day and remember that this is the place we’ve decided to put down roots. I guess that’s what really matters. I’m still initializing all-out cleaning mode though. Posted in Jade House and tagged cleaning, family, house worries, organized chaos, Ravenholm. Bookmark the permalink.